This blog stumbled on something on Amazon on Thursday night — an apparently unauthorized novelization of THE MALTHUSIAN AFFAIR, a script for a never-made attempted revival of The Man From U.N.C.L.E. Producers Ivan Goff and Ben Roberts commissioned Sam Rolfe, developer of the original 1964-68 television series, to do a script for a made-for-TV movie. 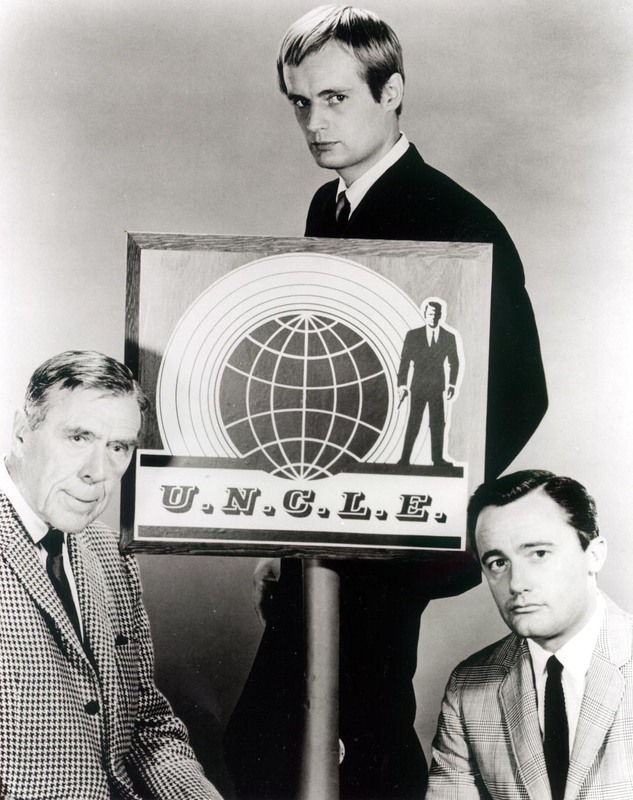 In Rolfe’s 1970s story, Napoleon Solo and Illya Kuryakin are still active in U.N.C.L.E. There’s a new chief, Victor Waverly. U.N.C.L.E. has also moved to a new skyscraper headquarters in New York. According to the Amazon page for the book, it sells for $10. 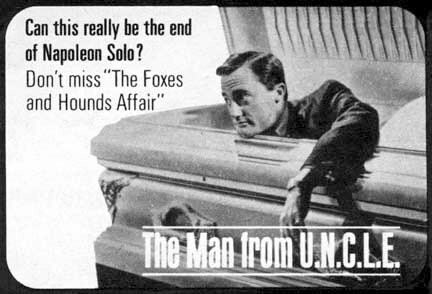 In 35 years or so of ATTEMPTED REVIVALS OF THE MAN FROM U.N.C.L.E., one recurring problem has been who to cast as Napoleon Solo, the title character. Solo was created by Norman Felton and Ian Fleming and developed by Sam Rolfe, who created most everything else about the 1964-68 television series. Obviously, it’s a pivotal role. Here’s a look at a partial list. The original, Robert Vaughn: Around 1976-77, producers Ivan Goff and Ben Roberts enlisted Sam Rolfe to write a TV-movie that would bring back U.N.C.L.E. Rolfe’s script, called The Malthusian Affair, had a somewhat older, but still active, Solo and Illya Kuryakin. The plan was to bring back Robert Vaughn and David McCallum, working with some new agents. The project never got further than the script stage. A few years later, in the early 1980s, Danny Biederman and Robert Short attempted a theatrical movie version. Their plan, also, was to have the original stars. But the producers ultimately couldn’t convince a studio. 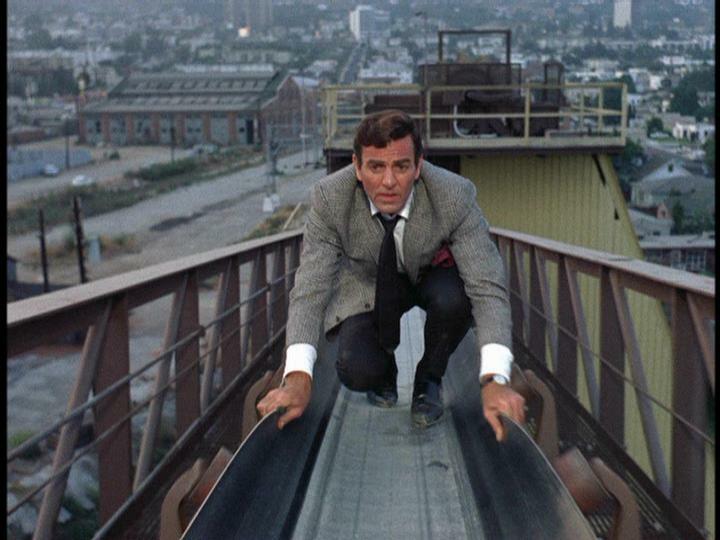 Vaughn and McCallum did reprise the roles in a 1983 made-for-television movie, The Return of The Man From U.N.C.L.E., that deliberately depicted Solo as retired and straining to regain his old form. Vaughn turned 50 during filming. George Clooney: In 2010-11, George Clooney appeared to be the choice of director Steven Soderbergh, who said he had committed to a new U.N.C.L.E. movie. It was easy to understand. The pair had worked a number of times together. 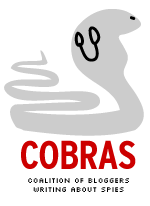 Eventually, though, Clooney, owing to health issues, took his name out of the running. By this point, Clooney was the same age as Vaughn was in The Return of The Man From U.N.C.L.E. Bradley Cooper: The actor, transitioning from movies such as The Hangover to more serious fare such as Silver Linings Playbook, was reported to be the new Solo for a time after Clooney’s departure. Looking back, it’s hard to determine whether this was really happening or an attempt by agents and/or publicists to gain their client attention. Regardless, Cooper was soon out and his career has been on the rise since. Michael Fassbender: Soderbergh reportedly proposed Michael Fassbender to Warner Bros. as a Solo contender. Fassbender had shown flashes of a James Bond while playing a young Magneto in a 2011 X-Men movie. 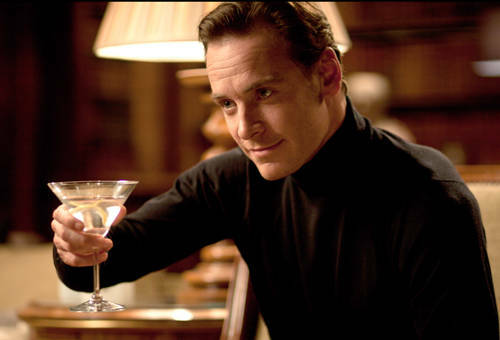 Soderbergh had also cast Fassbender in a spy movie called Haywire. According to various accounts, Warner Bros. didn’t like the choice because of Fassbender’s lack of star power. Almost immediately, Fassbender’s star power began to rise but it was too late. Channing Tatum: Soderbergh took a look at Channing Tatum, another actor he had worked with (both Haywire and Magic Mike, a film about male strippers). His football player build was considerably different than the 1964-68 original television series. Soderbergh exited the project before anything could happen Solo-wise with Tatum. Tatum, meanwhile, also sees his star power rise. The actor also ended up working with Soderbergh one more time in Side Effects, a 2013 movie. Tom Cruise: At the end of 2011, Warner Bros. assigned U.N.C.L.E. to director Guy Ritchie after Soderbergh’s departure. Cruise’s name didn’t emerge as a potential Solo until early in 2013. Like Clooney, a Cruise Solo would be notably older than the original version of Solo. According to the Deadline entertainment news Web site, Cruise exited U.N.C.L.E. negotiations to concentrate on a fifth Mission: Impossible movie. It remains to be seen who will show up on this list next. UPDATE (June 8): It didn’t take long to wait. On May 28, Variety reported that Henry Cavill, star of Man of Steel, was in talks to play Solo. Cavill, while promoting the 2013 Superman movie, said in early June during interviews that he had committed to playing the U.N.C.L.E. ace agent for his next project. Meanwhile, actor Armie Hammer, while promoting Walt Disney Co.’s The Lone Ranger, said on Australian television he’d be working with Cavill on the movie. Warner Bros, which wants to make a movie version of The Man From U.N.C.L.E. has seen two possible leading men, George Cooney and Bradley Cooper drop out of the project, is finding it hard to pull off a remake of the 1964-68 televison series. What follows is a guide to *some* of the previous attempts. Maybe this possible movie really is cursed. Early 1980s: Would-be producers Danny Biederman and Robert Short cobble together a theatrical movie project. Their script had Thrush, the villainous orgnaization of the original series, take over the world without anyone realizing it. Vaughn and McCallum had expressed interest, as had former 007 production designer Ken Adam. Alas, nothing happened. 1983:: The only post-series U.N.C.L.E. project, the made-for-television series movie The Return of The Man From U.N.C.L.E. airs on CBS. No series, or even a sequel made-for-TV movie, develops. 2010-2011:: Warner Bros. entices director Steven Soderbergh to direct an U.N.C.L.E. movie after a number of false starts. As of now, nothing concrete has occurred. Whether that remains the case remains to be seen. Still, the odds seem long that Ian Fleming’s other spy (created with Norman Felton) will make a comeback. UPDATE: For crying out loud, according to THIS STORY ON THE PLAYLIST WEB SITE, Johnny Depp wanted to play the Illya Kuryakin role played by David McCallum in the original show. But when Depp backed out, that complicated matters.